Currently, you and up to three other folks can form a group called a "Wing" and head out on an adventure. If all players have the same mission, then they can all choose it from their log and complete it jointly and get individual rewards (they cannot, though, share a missions with other members of their Wing). Sometime in Q1 of next year, Frontier Development will implement new "Wing Missions," which are specific co-op goals/objectives for you to complete with friends. This news came in a 30-minute presentation during the recent "Frontier Expo," the video of which you can find below. The other semi-cooperative feature that will be introduced later next year is squadrons and carriers. Players will form larger groups (squadrons) and can acquire their own carrier from which to plan operations and launch their ships. This kind of sounds like a clan/guild feature? 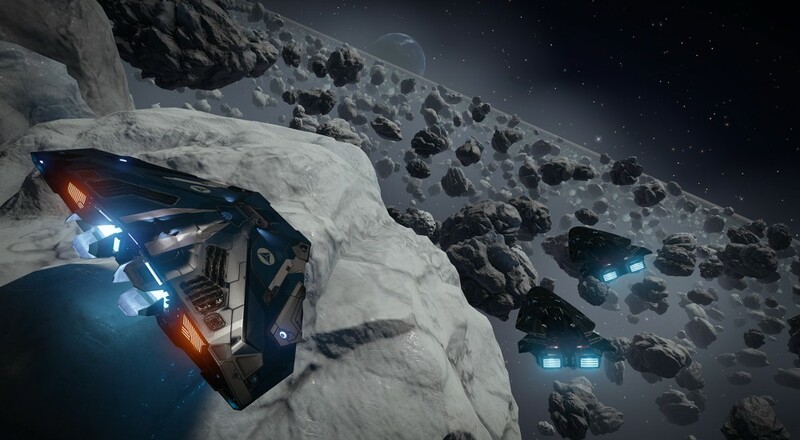 Elite: Dangerous is available on PC, Xbox One, and PlayStation 4.